Jesus' life is a love story about you. With all the crazy things that happen in our lives, it's sometimes hard to see if any of it has a point at all. The secret to finding meaning behind what seem like crazy, random happenstances is knowing that your story is closely intertwined with God's story. That right! He has been with you since the moment you were born and has been patiently waiting for this moment in your life. His deepest desire is to walk with you as you write your story together. Jesus Christ, who never did anything wrong (1 Peter 2:22), who is the eternal Son of God, came down from His place in Heaven and became a human being (John 1:1,14), and died a horrifying death to pay off the debt we owe to God. See, we are all full of sin from the moment we're born; it's been inherited through the generations from the Garden of Eden (Romans 3:23). We've all done things that are against what God commands for our lives. Maybe they were horrible sins. Maybe they didn't hurt anybody. Either way, sin is sin, no matter what the flavor. We deserve death because of our sin—a spiritual death that leads to eternal separation from God—but because He is merciful and loving, God chose to save us even though we don't deserve it (Romans 5:8). 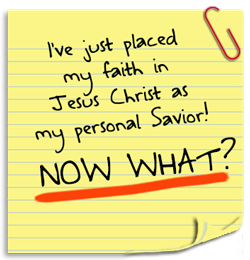 When Jesus was crucified on the cross (John 19:31-42), He took the punishment that we should have taken on our own (2 Corinthians 5:21). Three days later, He rose from the dead (1 Corinthians 15:1-4), proving His victory over sin and death. "In His great mercy He has given us new birth into a living hope through the resurrection of Jesus Christ from the dead" (1 Peter 1:3). If we place our faith in the gift of Jesus' sacrifice for us, trusting that His death on the cross has paid for our sins, we will be forgiven for every wrong we have ever done (or will do) and receive the promise of eternal life in Heaven (Acts 3:19). How is my story a part of His story? If you accept Jesus Christ as the One who has saved you from what we all deserve, then your story is as intertwined with God's story as Jesus' is. He wants to guide you toward the best possible choices you can make and show you how to live a life that will shine God's light on a dark world. Here is a sample prayer that can help you talk to God about putting your faith in Jesus. Remember, saying this prayer or any other prayer will NOT save you. They are only words. Only trusting in Christ can save you from sin. This prayer is simply a way to express to God your faith in Him and thank Him for providing for your salvation. "God, I know that I have sinned against you and deserve punishment. But I also know that Jesus Christ took that punishment for me so that I could be forgiven. I place my faith in Jesus Christ and my trust in You for salvation. Thank You for Your amazing grace and forgiveness and the gift of eternal life! Amen!" Salvation and forgiveness of sins are not about following steps or saying certain words or even being baptized. Yes, Christians should be baptized. Yes, Christians should publicly confess Christ as Savior. Yes, Christians should turn from sin. Yes, Christians should commit their lives to obeying God. But those are the RESULTS of being saved, not the WAY. All we are asked to "do" is to accept Jesus as the One who saved us—our Savior—and recognize that He has done all of the work for us, taken all the punishment. That is what makes the Christian faith different from all other world religions—they all have steps and checklists that must be followed in order to achieve salvation. It's a lot of work, not to mention, who knows if you've really fulfilled each and every item the way it's supposed to be done? The Christian faith recognizes that God has already completed the steps FOR US and simply calls on us to believe in Him and the fact that we have been saved by faith in Jesus Christ alone. 2 Corinthians 5:17 says that once we have truly accepted Christ as our Savior, we will become "new creations". That is, we no longer have to be prisoners to our old sinful natures; we can choose to be free and follow God.